Blog Microsoft Azure How to Prepare for AZ-400: Microsoft Azure DevOps Solutions Exam? How to Prepare for AZ-400: Microsoft Azure DevOps Solutions Exam? Within last few years, traditional software development has undergone radical changes in each and every aspect of this model so as to cope with the dynamic business landscape. Obviously, DevOps was one of the by-products of these changes. It hasn’t been so long since the public cloud players recognized DevOps as a viable software development methodology. Azure DevOps Solutions is one of the new role-based Azure certifications that validates the skills of Azure DevOps Professionals. It’s an exam namely “AZ-400” that equip candidates to become Microsoft certified Azure DevOps professionals. And this article is aimed at assisting such candidates to execute their AZ-400 Exam Preparation for achieving good performance in the AZ-400 exam. If you belong to the list of candidates who are aspired about this certification, then you don’t have to hesitate to read this Microsoft Azure certification exam preparation guide. 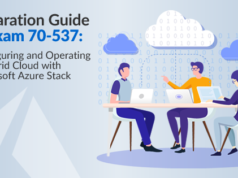 We can ensure that you’ll get the right strategies and the reliable AZ-400 Azure DevOps Solutions exam study materials from this guide. In case you come across any doubts during your AZ-400 Exam Preparation, you are free to contact us anytime. Now, let’s see how to restructure your AZ-400 exam preparation to get the most favorable results in your exam. This exam requires DevOps professionals who are capable of combining processes, people, and technologies for continuously delivering services and products that meet business objectives and user needs. These professionals must be proficient with Agile practices in software development. They should also be familiar with Azure administration and Azure development and must be experts in any one of these areas. And, these professionals must be able to design & implement DevOps best practices for configuration management, version control, compliance, build, release, testing, and infrastructure as code by using Azure technologies. DevOps professionals are known for streamlining product delivery by automation, optimizing practices, and improving collaboration & communication. These people are responsible for planning and executing strategies for infrastructure and application code that allows the different software engineering approaches such as continuous integration, continuous delivery, continuous monitoring, continuous testing and feedback. It’s very essential to carefully inspect these requisites before starting your AZ-400 Azure DevOps Solutions exam preparation as each of these requirements has their own importance in the exam so in your AZ-400 exam preparation. How Can You Take AZ-400 Beta Exam? Though the Azure DevOps concept itself is relatively new, Microsoft hasn’t officially released the live version of AZ-400 exam. Anyhow, to aid your AZ-400 Azure DevOps Solutions exam preparation, the beta version of this exam is available now. It’s also important to note that only about 400 people can only take this beta exam at a reduced rate. To avail this reduced fee benefit, you must use a beta code that has to be entered during your exam registration. This beta code can be obtained in any of the following ways. Join Microsoft’s SME Profile Database: Members of this group are eligible to receive an email containing AZ-400 beta exam code. This program can be accessed via Microsoft Collaborate, a great resource for Microsoft partners. You can log in to this portal using your Microsoft credentials. Born to Learn: It is Microsoft’s one of the official learning communities where you can find great blog posts about Microsoft certifications and exams. When the registrations are open for AZ-400 beta exam, a blog post will be posted in this community from which you can get the desired exam code. The exam code available in this blog will be different from that of the code available to SME database members. Since the allocation of exam codes in these resources are limited in a first come- first serve basis, you must try to get these codes as soon as possible before starting your AZ-400 exam preparation. Why You Should Take this Beta Exam? If you have planned to take the beta exam of AZ-400, the obvious reason that drove towards it would be the cost of this exam. AZ-400 beta exam is totally free of cost to take. You will automatically get certification if you pass the beta exam. Just imagine the situation where you’re getting the latest Microsoft certification before it’s even available to general public or software pros. Even you fail to pass the beta exam, don’t worry; you’ll get a lot of other benefits. There’s a higher chance that questions on a beta exam can be reappeared in the final exam. So in a beta exam, you may get exclusive access to the main exam questions without having even a proper AZ-400 exam preparation. The AZ-400 exam is prepared so as to analyze one’s abilities to perform the tasks that are shown below. Here, the percentage figure indicates the relative weight of the module in the overall exam. The more you concentrate on modules with a higher percentage, you’re likely to score more marks in the exam. Are you an Azure Developer? Validate your skills now with the AZ-203 certification to become an Azure Developer Associate. Follow AZ-203 exam preparation guide now. Once you confirm that you’ve met the sufficient requirements for the exam, you can start your AZ-400 exam preparation without any further delay. Anytime, you can consider this article as a reference material or Preparation guide for AZ-400 Microsoft Azure DevOps Solutions exam. 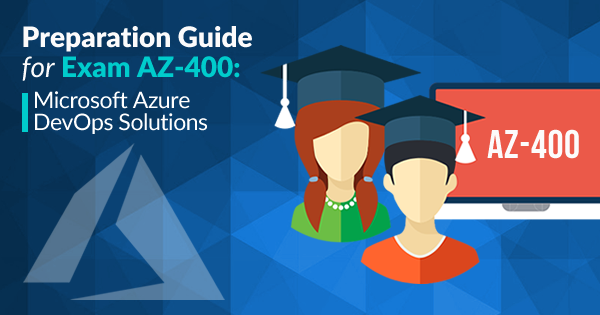 Here, we will provide detailed instructions and acceptable AZ-400 Azure DevOps Solutions exam study materials for helping you to gear up your AZ-400 exam preparation. Now, let’s see what these study materials are. In the Microsoft learning page for AZ-400 exam, you’ll find all the basic details you need before appearing for this exam. You can find basic exam information, skills assessed in the exam, exam prerequisites, exam study groups, etc. Whenever there’s a change in the exam schedule or modules covered, this page will be one of the few pages where the related information appear for the first time. And most importantly, the links to schedule the AZ-400 exam is accessible only from this page. If you get a reliable book for the AZ-400 exam, you can skip many other options that you’ve reserved for your AZ-400 exam preparation. But, for the time being, you may not find such a book since this exam still is in beta stage. Same can be the case with magazines and professional journals. Anyway if you’re not planning to take the beta exam, just keep on searching for genuine AZ-400 exam books that can help you a lot. Always, this can be a good alternative to any other preparation resource for AZ-400 Microsoft Azure DevOps solutions exam. Here you’ll learn about Azure pipelines, web portal navigation, Azure Repos, Azure Artifacts, Azure test plans many other important tools related to Azure DevOps. There’ll be comprehensive dashboards, public projects and analytic solutions accessible from this documentation. The complicated Azure DevOps concepts are illustrated in a much simpler way in this documentation. You can access various Whitepapers, eBooks, and analyst reports from Microsoft Azure page that can help you to know up to the minute updates on Azure DevOps and related technologies. For your AZ-400 exam preparation, you can freely download each of these reports using your Microsoft credentials. 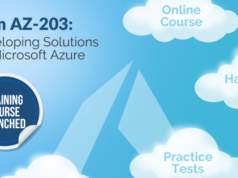 The azure newsletter will be another valuable AZ-400 exam preparation resource which you can access from their portal. If you subscribe to this notification, you’ll get updates on the latest Azure features, community activities & events, and many more in your mailbox. For most of the Azure certification exams, Microsoft provides on-demand instructor-led training in joint with its exam partners. Since AZ-400 is a beta exam, you may hardly find any options for such training. Anyhow if you are not intended to take beta exam, wait until the live version of AZ-400 to be available. You can even get classroom training for each module in AZ-400 exam based on the location you have chosen. Forums and discussion groups are one of the effective ways that can aid up your AZ-400 exam preparation. You can find a study group on Microsoft’s page for AZ-400 itself. If you are not satisfied with this study group, you can look for other forums like Azure community support, TechNet forums or MSDN forums. You can find solutions for many of your doubts related to AZ-400 exam from these forums. However, make sure to stay away from members in such groups who promote exam dumps for this exam. Important Thing to Note: Currently, Microsoft has temporarily paused the registration of AZ-400 beta program for the purpose of analyzing the feedback received from the users. It’s likely that such feedbacks may get incorporated in the live exam which is about to release soon. You can get more information about this from Microsoft’s community blog. Well, we’ve seen some of the most beneficial AZ-400 Azure DevOps Solutions exam study materials and strategies which you can apply for your AZ-400 exam preparation. However, there isn’t such a mandate that you need to use all these resources for your preparation although some of these are irreplaceable by any means. Official learning page & documentation are examples of these irreplaceable resources. Effective use of such resources in your Microsoft Azure certification exam preparation is more than enough to secure good scores in the exam. Anyway, if you fail to properly grasp the concepts from these resources, you can move to other resources such as practice tests and on-demand training. The practice tests are thoughtfully designed so as to support your AZ-400 exam preparation. Moreover, these tests won’t encourage any types of brain dumps for your exam. Have any other queries or questions about AZ-400 exam? Just write in Whizlabs Forum and get your queries resolved by the industry experts. Wishing all the best for your Azure DevOps certification!